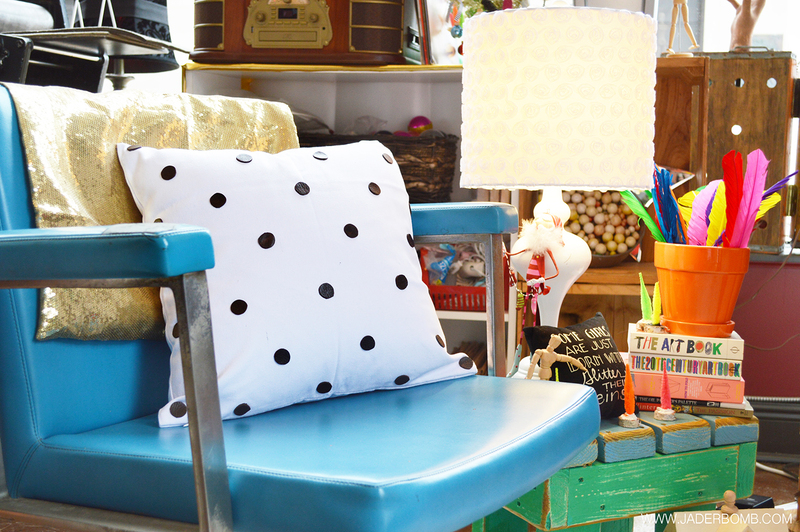 Holy Easy Polka Dot Pillow Extravaganza! It’s MLK today and I am sitting at my computer suffering from a terrible abscess in my mouth. Rad right! Thanks to my doc I am all fixed up so I don’t feel any pain! I had a pretty quiet weekend and I honestly think my body needed it. I have been going from one thing to the next for the past few months and it felt really good to just chill out. We have a few projects going on at home and don’t you worry I will be sharing them on here this week. I am painting our fireplace that is already painted so I am sorta excited to see the end results! It’s already painted a light sage green which isn’t that bad but I want a crisp clean whiten fireplace. Every room in the house is now white which is great because it allows the room to feel open and everything in the room pops! Don’t worry I might change my mind next week, that is usually how I roll! Also we are adding another room onto the back of our house so I can’t wait to show you the things we are doing to that space! 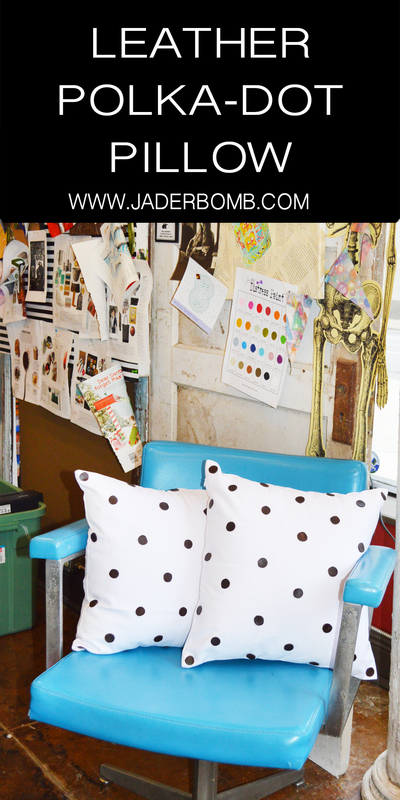 I have been wanting to do some polka dot leather pillows for a while now but since I have been so busy with the holidays I could never tackle this project. It’s an easy project but very tedious. 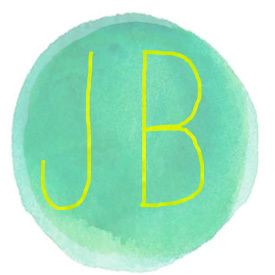 Don’t forget to check out my STUDIO TOUR! Also I was unable to attend CHA this year but yesterday I received a HUGE box filled with goodies from Fave Crafts so I will be posting about all of the items in there! 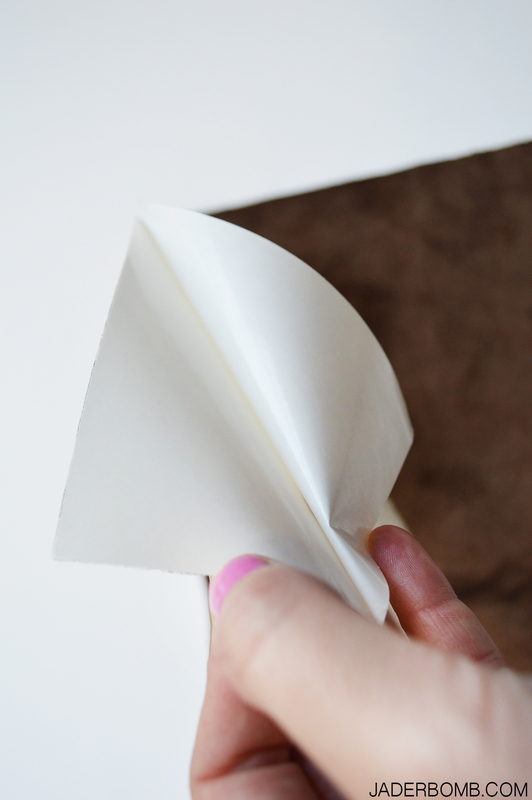 Step 1: Get a sheet of fabric fusion and peel off one side. This stuff is seriously amazing! 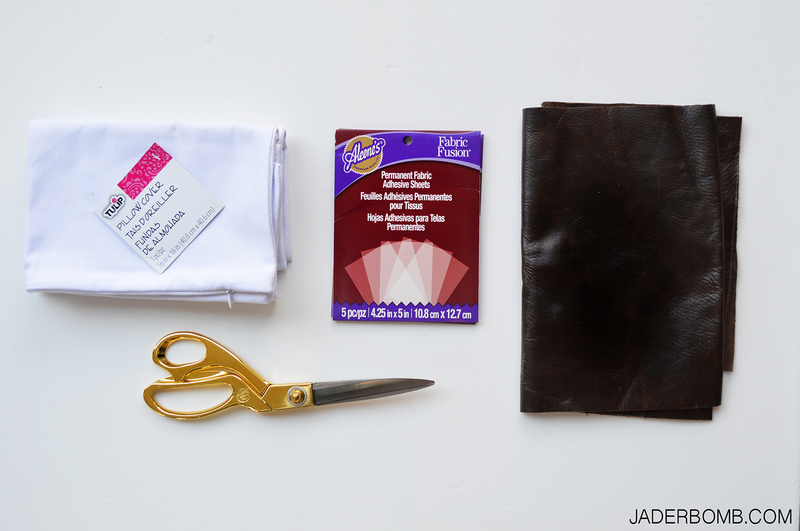 If you do not like to sew you can use this product and it works so good! 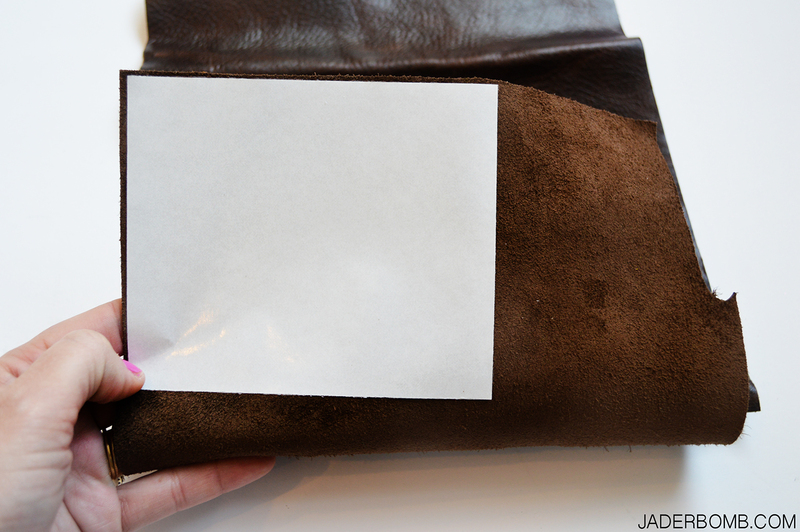 Step 2: Place the sticky side down onto the back side of your leather. 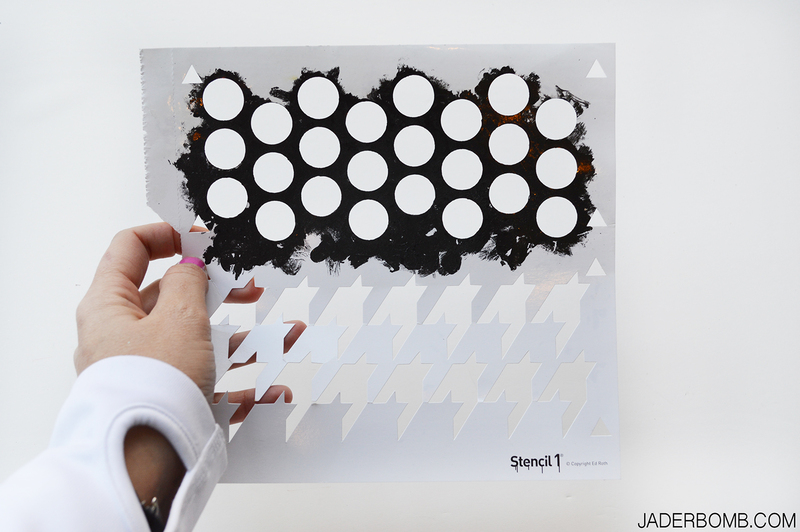 Step 3: Get a stencil of circles, I am using my favorite which is by Stencil 1. Order it here. If you don’t have access to a stencil you can find something round use that to trace around. 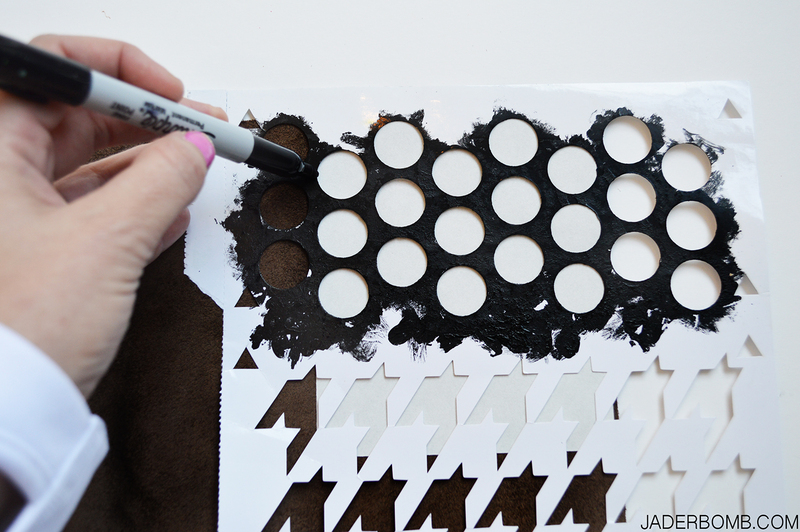 Step 4: Place your stencil on top of the fabric fusion and trace out your circles with a sharpie. Step 5: This is what it will look like once you are done. I used a pen instead of a sharpie. 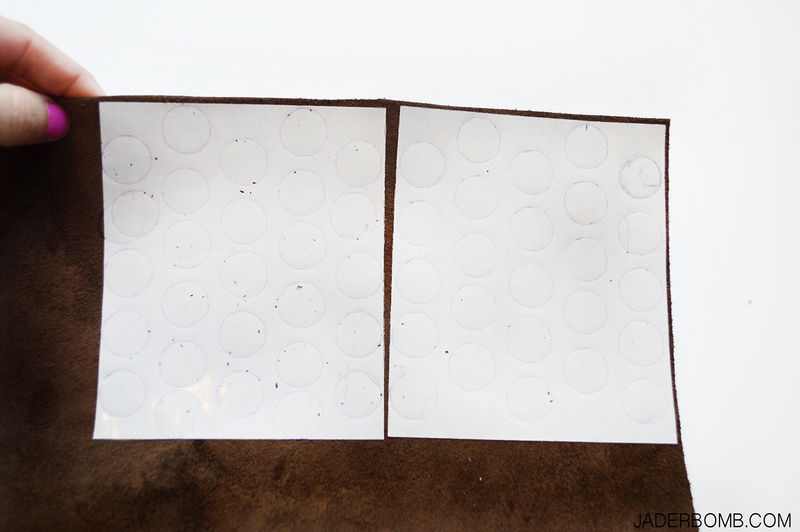 Step 7: Peel off the white sheet on the back of the leather circles and place them where you want on the pillows. I didn’t measure mine out with a ruler I just eyeballed it. Love you all my little craft bugs! Huge bursts of happy energy sent from me to YOU right through this screen! 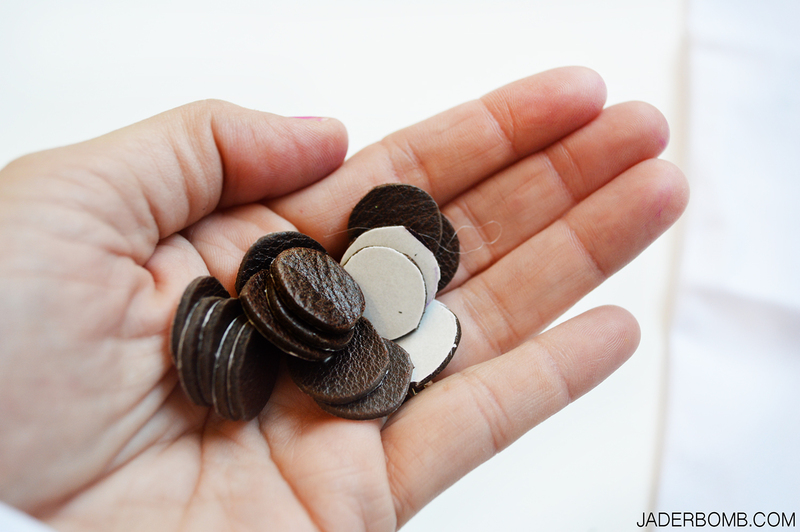 I hope this post allows your imagination to go bonkers and you create loads of leather goodies! See you in the next post.